Israeli occupation forces (IOF) attacked the funeral procession of a child in Beit Ummar village, west of Al-Khalil in occupied West Bank. The National Committee for Resisting Settlement and Apartheid Wall in Beit Ummar confirmed that IOF soldiers attacked Palestinians in a funeral procession of a little girl in the village of Beit Ummar north of Al Khalil. Israeli forces fired tear gas at the mourners causing suffocation to many of them. During the confrontations, a number of Israeli soldiers were hit on their feet by the villagers' stones and they were unable to arrest any one of them. The sources said that the car was transporting several workers in Jinba area, south of Yatta town, taking them to Be’er As-Sabe’ (Bir Shiva); soldiers chased the car until it crashed. 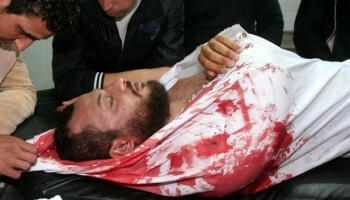 The wounded day laborers were identified as Ayman Attallah Abu Fanar, 31, and Taha Badawi Mohammad, 55; both from Doura. The two suffered carious cuts and bruises and were moved to the Emergency Unit at Hebron Governmental Hospital. Israel refrains from granting Palestinian workers work permits, and the army chases hundreds of workers along the areas that are adjacent to Bir Shiva. Poverty, the lack of resources and ongoing Israeli violations are pushing thousands of day laborers to take the risk of infiltrating into Israel seeking work. On Saturday at night, September 8, four Palestinian workers were injured after Israeli soldiers violently attacked them south of Hebron. The workers were trying to go to Israel where they work in construction, but the soldiers stopped their car in Jibna area, south of Hebron, before violently attacking and beating them on different parts of their body. The assault mainly focused on their heads, arms and legs. The wounded workers were identified as Rami Jamal Abu Fanar, Firas Jadallah Abu Fanar, Mohammad Jamal Abu Fanar, and Mohammad Ata Abu Fanar. A medical source at the Abu al-Hasan Hospital, where the four were hospitalized, said that the workers suffered moderate injuries and that they bleeding from their heads, arms and legs. Israeli occupation forces (IOF) stormed, on Tuesday, the central Gaza Strip and fired at farmers and Palestinian houses there. Eyewitnesses said that the IOF penetrated in the east of the town of "Juhor Dik", in the central Gaza Strip, and ordered the farmers to leave their lands and opened fire towards them, with no injuries reported. They added that the troops opened, fire at citizens' houses in the area, after the farmers had left their lands at gunpoint,. The Israeli troops started also bulldozing agricultural lands in the target area, and imposed a ban on citizens preventing farmers from approaching the border fence at distance of 300 meters. Al Mezan Center for Human Rights condemned escalation of Israeli attacks on Palestinian fishermen and called on international community for immediate intervention to put an end to the Israeli violations and for lifting of siege imposed on Gaza strip. The human rights center confirmed, in a press release issued on Tuesday, that the Israeli abuses against Palestinian fishermen in Gazan waters have escalated in recent weeks, as Israeli Occupation Forces (IOF) have adopted new tactics causing increased physical damage to Palestinian fishing boats, in addition to arresting fishermen and treating them in very degrading way. These escalating attacks come in the context of Israel’s maritime siege on the Gaza Strip, which prevents Palestinian fishermen from working, even within the Israeli-imposed “fishing zone” of three nautical miles along the Gazan coast. According to Al Mezan’s field investigations, over the course of September the IOF has escalated its attacks on Palestinian fishermen. The Al Mezan Center for Human Rights has noted that the IOF has recently opened fire directly on the boats on three occasions, damaging the fishing nets, with no justifiable cause. Therefore, Al Mezan reiterates its previous call on the international community to promptly intervene to uphold its legal and moral obligations under international law, particularly the Fourth Geneva Convention regarding the Protection of Civilians in Time of War, and to ensure respect of the principles of IHL at all times. It also calls on the international community to take all necessary measures to lift the illegal siege imposed on Gaza, including freedom to work for Palestinian fishermen. 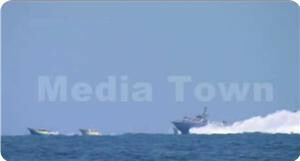 On Tuesday 11th September, Occupation ships opened fire at Palestinian fishing boats at Gaza Sea. No injuries were reported. Israeli vehicles raided east of Khan Younis, south of the Gaza Strip. Sources said that four bulldozers and three tanks raided the governorate in a heavy fire shooting and started sweeping and razing the lands. Israeli military vehicles entered the Gaza Strip on Tuesday east of Deir al-Balah and al-Bureij refugee camps , witnesses said. Four bulldozers accompanied by three military vehicles entered over 350 meters into Gaza, locals told Ma'an. An Israeli army spokeswoman said there was "routine" military activity along the border. 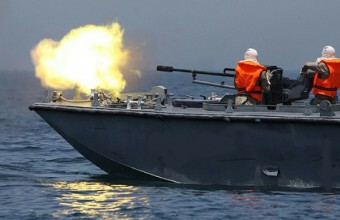 Meanwhile, locals said Israel's navy opened fire at Palestinian fishermen in northern Gaza. An Israeli army spokeswoman said navy forces fired warning shots because the fishing boats deviated from the designated fishing area. Under Israel's maritime blockade, Palestinians are forbidden from fishing more than three nautical miles from the coast. During the Oslo Accords negotiators had agreed to 20 nautical miles of fishing access along Gaza's coastline. 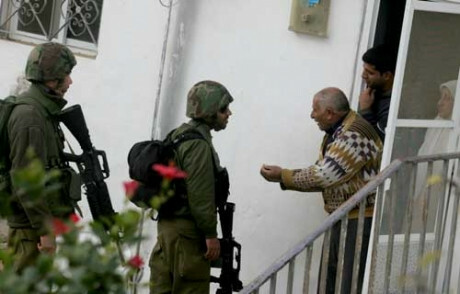 Occupation forces launched at dawn Tuesday extensive raids in several cities and villages in the occupied West Bank, and arrested nine Palestinians. Israeli military sources said that they arrested people suspected of being involved in attacks against Israeli targets, without defining the parties to which they belong, and noted that the detainees had been transferred to the concerned security authorities for interrogation. The Hebrew radio reported that the IOF arrested three citizens in the city of Tulkarem and two others from Aroub village in al-Khalil district. 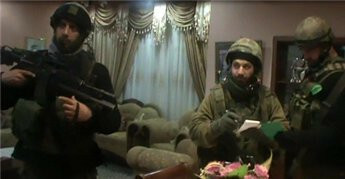 For their part; Palestinian sources pointed that during the raids the Israeli troops stormed Palestinian houses, after breaking their doors, terrorized the citizens and damaged their properties. 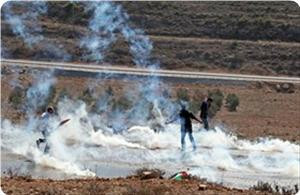 The Information Office of the popular resistance in Nabi Saleh said that the IOF fired rubber-coated metal bullets and tear gas at residents of the village, after storming it, injuring Omar Saleh Tamimi, 25, who was hit by several rubber bullets. Tamimi was arrested from the ambulance, by soldiers at the main checkpoint at the entrance to the village, with another youth who was accompanying him. Israeli forces also stormed the western neighborhood of Tulkarem city, and raided a number of houses before arresting Mohamed Ibrahim al-Shaqr, 20, and transferring him to an unknown destination. 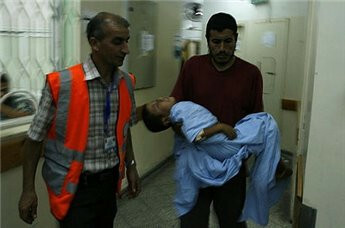 A child and his parents were taken to hospital with moderate wounds after injury by shrapnel in central Gaza. 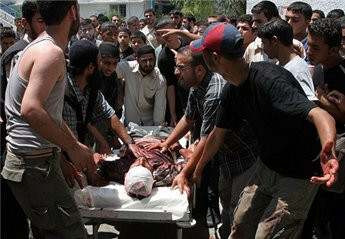 Israeli warplanes bombed several targets across the Gaza Strip early Monday, injuring four Palestinians. Aircraft fired missiles at an area near the smuggling tunnels in Rafah in south Gaza, leaving a 10-year old child moderately injured, health officials said. Another child and his parents sustained moderate wounds as a result of shrapnel from an Israeli missile which landed near their house in Al-Mughraqa, health ministry spokesman Ashraf al-Qidra said. They were evacuated to Al-Aqsa Martyrs Hospital in Deir al-Balah. The military training site of the Hamas’ military wing al-Qassam Brigades in Gaza City’s Tuffah neighborhood was also hit, causing a huge fire in the area, but no injuries have been reported. Other airstrikes were reported in an open area near the American School in Beit Lahiya in the northern Gaza Strip, and Nuseirat refugee camp in central Gaza. The Israeli army said they "targeted a weapon manufacturing facility, a terror activity site and a terror tunnel in the northern Gaza Strip as well as a smuggling tunnel in the southern Gaza Strip. Direct hits were confirmed." "The sites were targeted in direct response to the ongoing rocket fire aimed at southern Israel." A rocket fired from the Gaza Strip on Sunday hit a house in Netivot, causing substantial damage, but no casualties. Israel's army said 15 rockets from Gaza have landed in Israel this month. Israeli Prime Minister Benjamin Netanyahu threatened during a meeting with the German foreign minister on Sunday that the Gaza Strip would pay the price for attacking Israeli towns, Israeli newspaper The Jerusalem Post reported. At least three Palestinians, including two children, have been wounded in fresh Israeli airstrikes on the besieged Gaza Strip, local medical sources say. 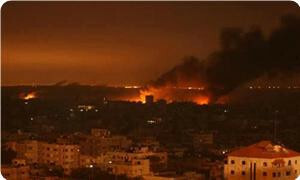 Israeli airplanes struck targets in eastern, northern, and southern parts of the impoverished coastal sliver on Sunday. On Thursday, three Palestinians were killed when an Israeli tank fired a Flechette shell in the northern town of Beit Hanoun. 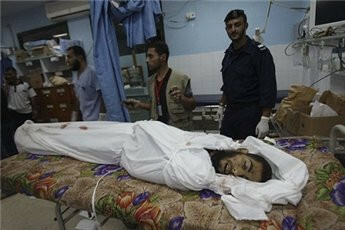 Three other Palestinians were also killed and another wounded in an Israeli airstrike on central Gaza on Wednesday. The Israeli military frequently bombs the Gaza Strip, saying the actions are being conducted for defensive purposes. However, disproportionate force is always used, in violation of international law, and civilians are often killed or injured. Gaza has been blockaded since 2007, which is a situation that has caused a decline in the standard of living, unprecedented levels of unemployment, and unrelenting poverty. Israeli soldiers bombarded, late on Sunday at night, several areas in northern and southern Gaza, leading to extensive damage and several injuries. Children were among the wounded. The Israeli Air Force fired at least two missiles into a center that belongs to the al-Qassam Brigades, the armed wing of Hamas, in at-Tuffah neighborhood, east of Gaza City. Damage was reported, no injuries. Later on, the Israeli Air Force fired missiles targeted a siege-busting tunnel in al-Jaradat area, east of the Rafah Border Terminal, in the southern part of the Gaza Strip. Also, several missiles were fired into a Qassam training center, west of Beit Lahia, in the northern part of the Gaza Strip. Spokesperson of the Palestinian Minister of Health, Dr. Ashraf al-Qudra, said that a 10-year-old child was moderately wounded when the army bombarded an area east of Rafah. The child was moved to Abu Yousef an-Najjar Hospital in the city. The Gaza Now News Agency reported that despite the Israeli bombardment, Palestinians armed groups managed to fire two Grad missiles into adjacent Israeli areas. Gaza Now added that several residents, including two children, have been injured in the Israeli attacks, and that Israeli war jets are still flying over different parts of the Gaza Strip. Israel claimed that its bombardment comes in retaliation Grad missiles fired from the Gaza Strip into the Netivot settlement, leading to a number of mild injuries. During his Sunday meeting with German Foreign Minister Guido Weterswelle, Israeli Prime Minister Benjamin Netanyahu stated that “Israel will defend itself’, and added that “terrorist must realize that they are not safe”. Palestinian armed groups in Gaza said that the firing of shells intro Israeli comes in retaliation to its recent escalation against the residents in the Gaza Strip, and the ongoing Israeli military assaults. Three Palestinians were killed, late on Wednesday at night, when the Israeli Air Force fired missiles into an area east of the al-Boreij refugee camp, in central Gaza, and three more Palestinians were killed, on Thursday morning, when the army bombarded Beit Hanoun, in the northern part of the Gaza Strip. A Palestinian young man on Monday morning suffered injuries described as serious after Israeli soldiers arbitrarily opened fire at him in downtown Al-Khalil city. The Hebrew media claimed that a group of Palestinian young men threw Molotov cocktails at Israeli soldiers stationed at a military checkpoint in Bab Azzawiyeh area, but the soldiers reacted immediately by firing live bullets directly towards the attackers leading to the injury of one of them. They added that the wounded young man was taken to an Israeli hospital in order to arrest him later. In a separate incident that happened earlier this morning, Palestinian young men clashed with Israeli troops who stormed Issawiya district in east Jerusalem to arrest a citizen. Local sources said the troops kidnapped during the raid a Palestinian young man named Wisam Abu Al-Hims from his home in Issawiya and took him to an unknown destination. Israeli troops shot and injured a Palestinian man on Monday morning in the southern West Bank of Hebron, residents and army officials said. Israeli forces evacuated the Kamal al-Batsh, 31, from Bab al-Zawiya neighborhood to a hospital in Israel, locals said, noting that Palestinian ambulance were prevented from arriving at the scene. An Israeli army spokeswoman said several Palestinians hurled firebombs at Israeli military post in the city, and soldiers fired in their direction, injuring one person. Israeli forces deployed heavily throughout the neighborhood after the incident, witnesses said. The Palestinian Media Forum strongly condemned the Israeli occupation forces’ attack on the Jerusalemite journalist Diala Jwayhan during covering a sit-in in solidarity with the Palestinian prisoners. The Forum quoted Jwayhan as saying that during taking some images of the sit-in in solidarity with the prisoners on hunger strike, which took place on Saturday in occupied Jerusalem, Israeli soldiers attacked one of the protesters. The journalist was documenting the arrest process when she fell on the ground after a soldier pushed her preventing her from filming the arrest. 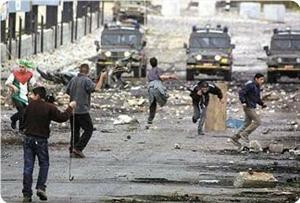 The Forum noted that this attack came in light of systematic attacks carried out by the occupation forces against Palestinian journalists especially during their coverage of peaceful marches and various popular events in the West Bank, in an attempt to intimidate them and prevent them from carrying out their duty to document and expose the Israeli crimes. The forum also congratulated the journalist Walid Khaled for his release from Israeli jails after renewed administrative detention. The journalist Khaled was arrested in 2011, after storming his house in the town of Sakaka, in Salfit, in the occupied West Bank, by the Israeli forces and turned him to administrative arrest for six months, an arrest that came just four months after his last arrest for four years to bring his total arrest period to 16 years between administrative detention and military verdicts. The Maan News Agency reported that four Palestinian workers were injured, late on Saturday at night, after Israeli soldiers violently attacked them south of Hebron, in the southern part of the West Bank. The four were moved to a local hospital. The workers were trying to go to Israel were they work in construction, and the soldiers stopped their car in Jibna area, south of Hebron, before violently attacking and beating them on different parts of their body, but mainly focusing on their heads, arms and legs. Maan said that the wounded workers were identified as Rami Jamal Abu Fanar, Firas Jadallah Abu Fanar, Mohammad Jamal Abu Fanar, and Mohammad Ata Abu Fanar. Israeli forces assaulted four Palestinian workers driving into Israel on Saturday night, witnesses told Ma'an. The forces stopped their car near the Beit Yatir checkpoint in the south of the West Bank, and kicked and beat the group with gun butts, one of the workers, Rami Jamal Abu Fanar from Yatta, said. He and Firas Jadallah Abu Fanar, Mohammad Jamal Abu Fanar and Mohammad Atta Abu Fannar were taken to Abu Al-Hasan Al-Qasem hospital in Yatta with head, abdomen and leg injuries, he said. A medic at the hospital said the four were in a moderate condition. An Israeli army spokeswoman said she had no record of the incident. Qusra lies near several settlements and outposts and is the site of regular assaults by their residents. After Israeli settlers raided the northern West Bank village of Qusra on Saturday night, clashes with Israeli forces injured 15 Palestinians from the village, a local official said. Around 30 settlers from the Esh Kodesh settler outpost descended on the village in the evening, PA official Ghassan Daghlas told Ma’an. They uprooted several olive trees and destroyed water wells, before assaulting some villagers, he added. Israeli forces arrived and fired tear gas and rubber bullets, Daghlas continued. The clashes continued for several hours and left 15 people from the village injured, he said. An Israeli army spokeswoman said forces used riot dispersal means to disperse a clash between Palestinians and Israelis, but said no one needed evacuation. 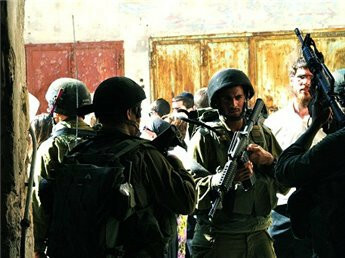 Issam Kamal Odeh, 33, died from Israeli army fire in September 2011 after soldiers came to the village after a settler raid. Lieberman says Israel should follow the example from World War II and avoid occupying the Gaza Strip. Operation Cast Lead must continue until Hamas "loses the will to fight," Israel Beiteinu chairman Avigdor Lieberman said on Tuesday. "Israel won't be secure so long as Hamas is in power, and therefore we need to come to a decision that we will break the will of Hamas to keep fighting," he said during a speech at Tel Aviv's Bar-Ilan University. "We must continue to fight Hamas just like the United States did with the Japanese in World War II," Lieberman added. "Then, too, the occupation of the country was unnecessary." In 1945, Japan unconditionally surrendered to the US following two atomic bomb attacks on Nagasaki and Hiroshima. A ground invasion of mainland Japan had been prepared at the time, but was avoided due to the Japanese capitulation after the bombings. Israel Beiteinu is currently the fifth largest party in Israel, and, according to an average of all polls taken since the start of the campaign season, is expected to become the fourth largest party in the next general election. An Israeli soldier scuffles with a Palestinian farmer as villagers are prevented from working on their lands in the West Bank village of Tuqua on May 30, 2012. 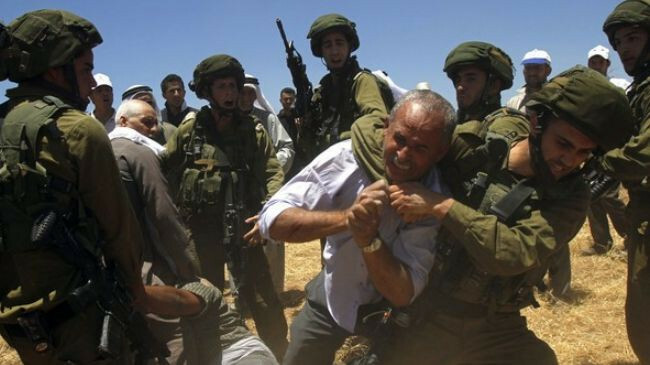 A group of illegal Jewish settlers along with Israeli soldiers has attacked Palestinian farmers in the occupied Palestinian territory of West Bank, injuring three of them. Israeli soldiers and settlers scuffled with Palestinians as they prevented them from working on their lands. Israeli troops even fired gun shots during the clashes on Saturday. The incident came two days after several Jewish settlers assaulted a number of Palestinians in Qasra village, which is located south of Nablus. Head of the village council Abd al-Atheem said on September 6 that the illegal settlers, under Israeli soldiers’ protection, attacked the southern part of the village and pointed their guns at Palestinians to make them leave their lands. He added that Israeli troops demanded Palestinians to show all their records of land ownership. Rights groups have repeatedly accused Israeli troops of refusing to protect Palestinians against the Jewish settlers. Former West Bank Division Commander Brigadier General Nitzan Alon has also said that Israeli soldiers have not been working enough to stop settler attacks on Palestinians. Israeli settlers, mostly armed, regularly attack Palestinian villages and farms and set fire to their mosques, olive groves and other properties in the occupied West Bank under the so-called “price tag” policy. However, the Tel Aviv regime rarely detains the assailants. The Israeli settlements are considered illegal by the UN and most countries because those territories were captured by Israel in a war in 1967, and are hence seen as being subject to the Geneva Conventions, which forbids construction on occupied lands. A Palestinian journalist said she was lightly injured by Israeli forces on Saturday during a solidarity protest for prisoners in Jerusalem. Diala Jweihan, a freelance photographer, told Ma'an that she was covering a protest in Jerusalem's Old City when Israeli soldiers threw her to the ground. She was taking pictures of a man who was being arrested by soldiers at the time. Jweihan said she suffered light neck and back injuries. Dozens of people gathered in a peaceful protest to support prisoners who are on hunger strike, Jweihan said, adding that one man was arrested by Israeli forces. Three Palestinians were injured on Saturday evening during confrontations between the Israeli occupation forces and the residents of the village of Qasra to the south of the northern West Bank city of Nablus. The confrontations broke out after a group of extremist Jewish settlers tried to enter the village and attack farmers and the locals tried to defend themselves prompting the occupation army to start firing teargas and stun grenades at the Palestinians to protect the settlers. Hamas official in Gaza Salah Bardawil does not expect Israel to launch a major attack on the coastal enclave, but to continue "show off" moves such as assassinating resistance leaders. Israeli leaders, he said, have been sending threatening messages to Gaza, but the real motive behind these messages is to check how Egypt and the Palestinian factions will react if they attack Gaza. “Is Barak really confident he can occupy Gaza? Israel’s disengagement from Gaza was considered a strategic decision, and the Israelis have failed to achieve their goals in the last war against Gaza,” Bardawil said. Friday 7th September, Israeli occupation forces raided several villages and neighborhoods in Hebron, south of the West Bank, set military checkpoints on the main entrances and streets. Security sources said that number of military patrols raided at dawn, al-Thaheriyah village, south Hebron. They also raided Ethna, Samou' and al-Fawar refugee camp, set military checkpoints at the main entrances and harassed Palestinians. Palestinian medical sources in the Gaza Strip reported that three Palestinians were killed, on Thursday morning, when the Israeli army bombarded Beit Hanoun, in the northern part of the Gaza Strip. Three Palestinians were killed, late on Wednesday at night, when the Israeli Air Force fired missiles into an area east of the Al-Boreij refugee camp, in central Gaza. The sources stated that the army fired missiles at residents near the Agricultural College, east of Beit Hanoun, killing three residents and wounded at four others. The army also opened fire at Palestinian medics and ambulances in an attempt to keep them away from the area as they attempted to evacuate the slain residents and the wounded to Kamal Adwan Hospital, in the area. The three slain residents were identified as Ehab and Akram Az-Za’aneen, and Tareq Al-Kafarna. The army also carried out a limited invasion into Beit Hanoun, and bulldozed farmlands while firing at random. The Israeli army claimed that the shells were fired at a group of Palestinian fighters who tried to plant explosives near the electronic fence, in northern Gaza. Meanwhile, the Abu Ali Mustafa Brigades, the armed wing of the Popular Front for the Liberation of Palestine (PFLP) said that its fighters fired shells and into a nearby military base in retaliation to the latest Israeli military escalation. On Wednesday at night, three Palestinians were killed, and a fourth was seriously wounded, when the army bombarded a car transporting resistance fighters in Al-Maghazi refugee camp, in central Gaza. Medical sources reported that the bodies of the slain fighters were severely mutated, while the wounded resident is in a serious condition. The slain fighters were identified as Khalil Al-Jarba, 27, Zakariyya Al-Jammal, 23, and Khaled Al-Qarm, 23. The Maan News Agency reported that Al-Jarba got married only six months ago, and his wife is currently pregnant. He is also the brother of Marwan Al-Jarba, who was killed in an Israeli bombardment that took place in central Gaza on April, 13, 2010. 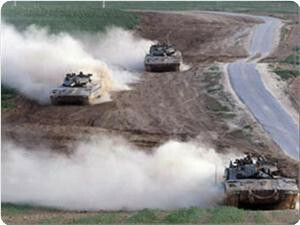 Eyewitnesses reported that six military bulldozers and three armored vehicles invaded Al-Fakhari area in Khan Younis, in the southern part of the Gaza Strip, and bulldozed farmlands while firing at random. Three Palestinian citizens including two brothers have been killed Thursday morning in an Israeli artillery attack on Beit Hanoun north of the Gaza Strip. Local sources reported that Israeli tanks shelled a crowd of civilians east of Beit Hanoun killing three of them and wounding many others. The tanks kept shelling the targeted area which hindered the arrival of ambulances to evacuate the victims. An official source from the ambulance and emergency committee told the Palestinian information center (PIC) this morning that the ambulances failed to reach the area to evacuate the wounded because of the continued artillery shelling. An Israeli airstrike on the northern Gaza Strip killed three Palestinians and injured three others, in the second deadly attack in 24 hours, medics said. Witnesses told Ma’an that an Israeli warplane fired flachette ammunition near the agricultural college east of Beit Hanoun, killing three people and wounding three others. The victims were not immediately identified, and Israeli military vehicles which were stationed in the area prevented ambulances from approaching the scene. In a statement, the Israeli military said that "IDF soldiers targeted a terrorist squad that was planting an explosive device near the security fence in the northern Gaza Strip." The statement added: "A hit was confirmed." Hours earlier, an airstrike killed three gunmen as they tried to launch short-range rockets on Wednesday, the Israeli military said. Medical officials and witnesses confirmed that three militants had been killed in the attack near Bureij, in central Gaza. They did not immediately give the dead men's factional affiliation but said they did not belong to Hamas. "The Hamas terror organization is solely responsible for any terrorist activity emanating from the Gaza Strip," the Israeli military said in an initial statement. The statement said the men targeted from the air had previously fired rockets across the border and were preparing to do so again. The Popular Front for the Liberation of Palestine's armed wing claimed responsibility for launching an attack from eastern Gaza, saying it was in response to Israel's escalation. Israel's deadly attacks on the Gaza Strip on Wednesday and Thursday were intended as a "test" of the new Egyptian president's tolerance for violence in Gaza, Hamas said Thursday. Spokesman Fawzi Barhoum said the airstrikes that killed six militants in separate attacks were "unjustified," and came after Egyptian President Mohammad Mursi delivered a speech affirming his support for the Palestinian cause. "Muhammad Mursi and the Arab League supported the Palestinian people," Barhoum said of a speech Mursi gave at the regional body on Wednesday. "Israel's attacks are aimed at testing the Arab position." He added: "After Israel's clear messages, Egypt and the Arab League have to put forward a new strategy to deal with Israel and respond to the aggressive attacks against the Palestinian people." In his remarks at the Arab League, Mursi said the Palestinian cause remained "the first cause for the Arab world ... We need a just and inclusive solution for the Palestinian issue, we all need this as Arabs." Three Palestinians were killed and another was wounded late Wednesday evening during an Israeli aerial attack on Bureij refugee camp in central Gaza Strip. Spokesman for the health ministry Ashraf Al-Qudra told the Palestinian information center (PIC) that an Israeli drone bombed a group of citizens east of Bureij refugee camp killing three and wounding one seriously. 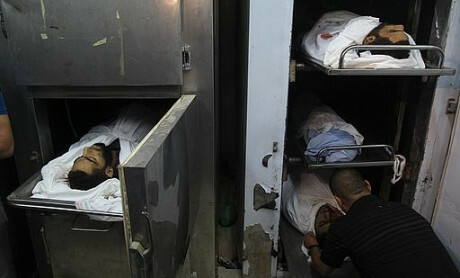 All the victims were transferred to the Aqsa Martyrs hospital, he added. 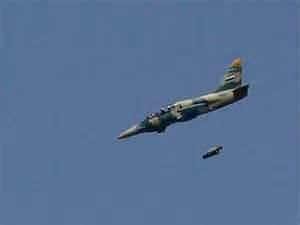 Local sources told the PIC that an Israeli aircraft targeted a group of resistance fighters east of the refugee camp. Palestinian medical sources reported that three Palestinians were killed, and a fourth resident was wounded, late on Wednesday at night, when the Israeli Air Force fired missiles into an area east of the Al-Boreij refugee camp, in central Gaza. Dr. Ashraf Al-Qudra, spokesperson of the Minister of Health in Gaza, stated that an Israeli drone fired missiles targeting a group of residents killing three, and seriously wounding another resident. All casualties were moved to the Al-Aqsa Martyrs Hospital. Local sources reported that a missile was fired at a car driving the fighters near “Maqboula” area, east of the Al-Boreij. The bodies of the slain fighters were severely mutilated while the wounded residents suffered very serious injuries. Furthermore, an Israeli military spokesperson said that “the attack targeted fighters who planned to fire homemade shells into Israeli territory”. The spokesperson claimed that “the same cell is responsible for several previous attacks”. An Israeli airstrike on the Gaza Strip killed three gunmen as they tried to launch short-range rockets on Wednesday, the Israeli military said. Though hostile to Israel, Hamas has at times proposed long-term truces and faced resistance to its rule from smaller armed groups in Gaza. "The Hamas terror organization is solely responsible for any terrorist activity emanating from the Gaza Strip," the Israeli military said in a statement. Israeli navy boats, early Wednesday morning, opened fire at Palestinian fishermen off the coast of al-Sudanya area, northwest of the Gaza Strip, according to WAFA correspondent. 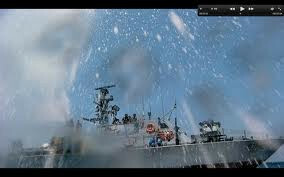 He said Israeli navy boats targeted fishermen’s boats with heavy machinegun fire, forcing the fishermen to leave the area. No injuries were reported. Palestinian medical sources in Ya’bod village, near the northern West Bank city of Jenin, reported Monday that several residents, including children, suffered the effects of tear gas inhalation after the army invaded the village, and fired gas bombs at several homes. The sources said that one of the wounded residents was moved to hospital after she suffered an asthma attack. The sources added that the army held and interrogated several youths while inspecting the ID cards, and even blindfolded them; they were all let go before the army left the village. Furthermore, soldiers were extensively deployed along the road between Ya’bod and the illegal Mabo Dotan settlement, while dozens of soldiers were deployed in olive orchards and farmlands in the area. A Palestinian political activist was assaulted by Israeli soldiers in Hebron on Tuesday, according to the man. Tamer al-Atrash, a spokesman for youth against the settlements, told Ma'an that he had a verbal altercation with soldiers in Hebron, before they began brutally assaulting him. "I know the soldiers who beat me as I filmed them assaulting Palestinians in Tel Rumeida in Hebron," al-Atrash said. Israeli soldiers keep attacking activists because they expose the daily crimes of soldiers against Palestinians in Tel Rumeida and Shuhada street, al-Atrash added. Israeli soldiers violently attacked, on Monday at night, a Palestinian nonviolent activist after stopping his vehicle, in Hebron city, in the southern part of the West Bank. The soldiers forced him out of his car and brutally attacked and kicked him. “This is an act of revenge, it seems they think they are settling a score”, Al-Atrash stated, “We always expose their violations and abuse practiced against the civilians on a daily basis in Tel Romedia”. Israeli settlers illegally reside in the neighborhood in privately-owned Palestinian property, in Tal Romedia and in several parts of the city. 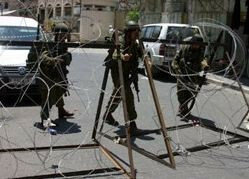 Israeli forces arrested fourteen people overnight Monday, locals and Israel's army said. Israeli forces raided the Qalqiliya village of Kafr Qaddum at around 2 a.m. and arrested Moayad Eshteiwi, 55, Awos Amer, 23, Ahmad Amer, 23, Muhammad Amer, 24 and Wassim Eshteiwi, 24, locals told Ma'an. An Israeli army spokesman said five people were arrested in Kafr Qaddum, four people in the Ramallah area, three in Hebron, one in Qabitiya, Jenin and one in Tulkarem. 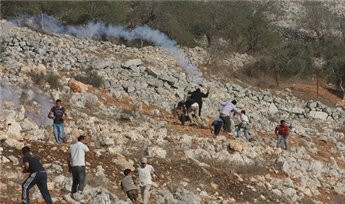 Locals in Yabad, Jenin, said Israeli military vehicles entered the village overnight and fired tear gas at residents. One woman was hospitalized by the gas while several children reportedly vomited after inhaling the fumes, locals told Ma'an. Soldiers also set up a checkpoint at the entrance to village and briefly arrested and blindfolded several young men before releasing them, locals added. The Israeli air force fired, on Monday at dawn, several missiles into a training center that belongs to the Al-Qassam Brigades, the armed wing of Hamas, near An-Nusseirat refugee camp, in central Gaza; damage was reported, no injuries. Local sources reported that an Israeli F-16 fighter jet fired three missiles into the center causing excessive damage to several buildings. The Israeli army said that the attack was carried out in retaliation to a mortar that was fired from Gaza into the Western Negev; no damage or injuries were reported. 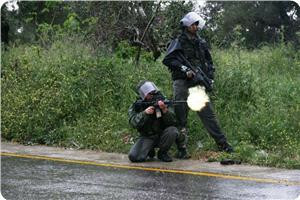 On Sunday, the Israeli army said that two shells were fired from Gaza into Kissufim and Be’ery, in the Western Negev. Israeli sources reported that a number of shells were fired into the Eshkol Regional Council, in the Western Negev, and that the highway leading to Eshkol was closed due to fires caused by the shells. An Israeli warplane bombed at dawn Monday a station belonging to Al-Qassam Brigades, the armed wing of Hamas, on the outskirts of Nuseirat refugee camp in the central Gaza Strip. Local sources told the Palestinian information center (PIC) that an Israeli F-16 jet fighter fired three missiles at this station causing massive destruction in the area without any reported injuries. A spokesman for the Israeli army claimed the air strike targeted what he labeled as a center for terrorist activities in the Gaza Strip in response to the fall of a Palestinian rocket in the western Negev. The Palestinian resistance factions launch every once in a while rocket counterattacks against Israeli targets near Gaza in retaliation to Israeli incursions and shelling. Israeli forces early Monday morning stormed al-Salam Street and al-Seha Square in central Hebron, according to witnesses. They said that three Israeli military jeeps stormed Ras al-Joura, Hebron’s main entrance, al-Salam Street, and al-Seha Square in central Hebron, spreading panic among residents and terrorizing students heading to their schools early morning. The Palestinian Centre for Human Rights (PCHR) documented thirteen violations against Palestinian fishermen in the Gaza Strip perpetrated by the Israeli navy forces, during the past two months. PCHR documented the Israeli violations against Palestinian fishermen during the reporting period 26 July to 01 August 2012 including 10 incidents in which the IOF fired at fishermen. The center also confirmed the arrest of two fishermen by the Israeli forces while fishing at a distance of 300 meters from Gaza port. The center considered the Israeli attacks against Palestinian fishermen in the Gaza Strip as a flagrant violation of international humanitarian and human rights law, especially the right to life and security of the person, in accordance with Article 3 of the Universal Declaration of Human Rights and Article 6 of the International Covenant on Civil and Political Rights, to which the State of Israel is a party. The IOF perpetrated violations against Palestinian fishermen in the sea, when these fishermen did not pose any threat to Israeli naval troops. The fishermen were practicing their right to work and seek their livelihood within the territorial waters of the Gaza Strip when the IOF indiscriminately fired at them. These attacks took place within the 3 nautical miles allowed for fishermen to sail and fish in. PCHR also noticed that these firing incidents against fishermen and their boats took place in the context of seeking their livelihood, and the imposition of more restrictions to terrify and prevent the fishermen from practicing their work freely. The report pointed out that Israeli gunboats fired on August 28 Palestinian fishing boats in front of the coast of northern Gaza Strip, causing damage to Palestinian boat, an issue that pushed the fishermen to go back to the shore. Despite the fact that the fishermen were trying to steer their boats back to the shore, the Navy boats continued to target them. A Palestinian worker died on Sunday morning after an IOF patrol chased him and other workers while attempting to infiltrate into 1948 occupied Palestine seeking work. Munther Nazal, the director of ambulance and emergency in Qalqilia, said that an ambulance team reached Azzun-Atma village to the south of Qalqilia and tried to resuscitate the worker who suffered cardiac arrest but to no avail. Nazzal said that Thaer Abu Shalluf, 34, was from Qalqilia city, adding that no reason was yet known for his condition and whether it was the result of exhaustion and fear due to the IOF pursuit. Local sources in Qalqilia city blamed the IOF chase for the death of Abu Shalluf. The Quds Press Media Agency reported Sunday that Israeli soldiers, stationed at military towers across the border, opened automatic fire at Palestinian shepherds herding their sheep in central Gaza, killing 30 sheep; the shepherds were not harmed. The attack took place east of Juhr Ad-Deek town, in central Gaza. The shepherds said that they did not even approach the border fence. Israeli soldiers repeatedly target Palestinian lands close to the border, and repeatedly opened fire at Palestinian workers, shepherds and farmers leading to dozens of casualties. In other news, the Ansar Brigades, the armed wing of the Ahrar Movement, claimed responsibility for firing three homemade shells at the Zikim Israeli military base, across the border. The Brigades said that the firing of the shells comes in retaliation for an earlier Israeli bombardment that targeted a residential tower in the area leading to two injuries and causing damage to the building. 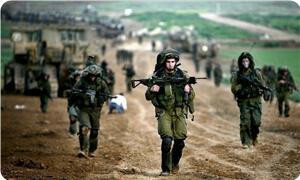 Palestinian shepherds survived a machinegun attack by Israeli occupation forces (IOF) east of Juhr Al-Deek in the central Gaza Strip on Saturday, Quds Press said. 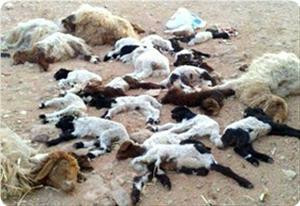 The agency quoted local sources as saying that around 30 sheep heads were killed in the shooting. They estimated the value of those sheep heads at 12000 US dollars. IOF soldiers routinely fire at Palestinian farmers, shepherds, and land in border areas. A gang of 20 Jewish settlers attacked Jerusalemite houses in Shufat refugee camp to the north of occupied Jerusalem on Saturday night. 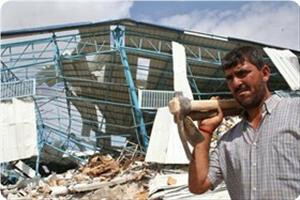 The Israeli radio reported that a Jerusalemite was injured in the incident while many houses were damaged. The broadcast said that Haredim (ultra-orthodox Jews) threw rocks at the houses, adding that the Jerusalemite man was hit in his head and taken to hospital. Israeli police Sunday raided the house of Palestinian lawyer Raed Basheer in the East Jerusalem neighborhood of Jabel Mukaber, destroyed its contents and terrorized his family, according to the lawyer. Basheer told WAFA that more than 14 members of the Israeli police broke into his house when he wasn’t at home and locked his wife and children in one room of the house, searching and destroying the house’s contents without giving any explanation. He said, “I got a call from my family following the raid---I went home to find my children in a hysterical condition and the house in a miserable shape.” The children were taking to a medical center. He stressed that he will take all legal actions against this police attack that wasn’t justified. Israeli police raided at dawn Sunday Ras al-Amoud neighborhood and surrounded the houses located in front of the Old City and al-Aqsa Mosque, in an attempt to displace Hamdallah family from its house in the neighborhood. IOF have deployed around 50 police buses and Border Guards throughout the neighborhoodand prevented citizens from entering it. The occupation authorities had notified last Thursday Hamdallah family, in Ras Al Amoud neighborhood in Silwan, to evacuate their home for settlers on Sunday morning. The Information Center in Wadi al-Helwa said that the house occupies an area of about 30 square meters, and that the settlers falsely claim ownership of the land on which the house was built. The Center stated that the Israeli Supreme Court had ruled in 2000 that the land belongs to settlers. The house of Hamdallah family is located in a strategic location overlooking Al-Aqsa Mosque and behind the houses of Deir Abraham. It is also considered by the occupation authorities and settlersan obstacle for the completion of Ma'ale Zitim settlement because it is located in the settlement’s middle. Two Palestinians were injured Saturday morning after Israeli F16 fighter jets launched two raids on western Gaza City, medics said. 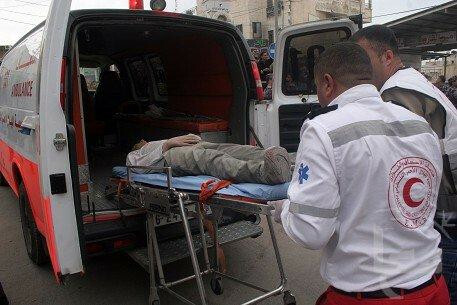 Palestinian medical sources told Ma’an that two injured men were hospitalized at Gaza City’s Al-Shifa Hospital. Medics said the two sustained moderate wounds in the upper body. An Israeli military spokesperson said the raids came in response to home-made projectiles fired from the Gaza Strip at Sderot. “The targets were hit accurately,” the spokesperson added. Israel's military said in a statement that "The sites were targeted in response to the continuous rocket fire towards southern Israel." It added: "The IDF will not tolerate any attempt by terrorist groups to target Israeli civilians and IDF soldiers, and will continue to operate against those who use terror against the State of Israel. The Hamas terror organization is solely responsible for any terrorist activity emanating from the Gaza Strip." Two Palestinian citizens were wounded when Israeli warplanes raided northern Gaza Strip after midnight Friday, medical sources said on Saturday. Dr. Ashraf Al-Qudra, the spokesman for the health ministry, said that the Israeli aerial raid on a position for the Ahrar movement injured two citizens. He said that the two were carried to hospital in moderate condition, noting that their bodies were riddled with shrapnel. Local sources told the PIC reporter that another raid on positions for the Qassam Brigades, the armed wing of Hamas, and Ahrar movement to the north west of Gaza Strip did not cause any casualties. Said says soldiers beat and spat on him late Friday. A young Palestinian's errand for his mother took a drastic turn late Friday after he accidentally crossed into the middle of a violent clash between locals and Israeli forces. Said Ali Qabalawi, 14, was subjected to a violent assault by Israeli troops in the town of Abu Dis, as he found himself in the wrong place while out buying milk for his baby sister. At about 9 p.m., Said says, he left a pharmacy that had run out of milk and began walking to another one further down the road. Soon, he was surrounded by Israeli troops clashing with residents. “The soldiers surrounded me, so I ran away jumping off a high wall. I couldn’t continue to run after the jump, and at that point I was caught. The soldiers attacked me brutally hitting me with rifle butts, kicking me and tearing my clothes off. I had no idea why they were beating me,” he told Ma’an. 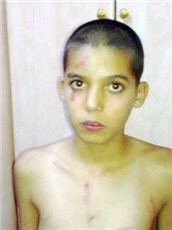 One of the soldiers dragged the 14-year-old on the ground and he was taken to a nearby military base. At the base, they continued to beat the young man and accused him of throwing stones, which Said denies. “Some of the soldiers spat on me and insulted me verbally. They also hit me on the stomach, and I have recently underwent a surgery in the intestine so the punches hurt me,” he added. Four hours later, Said was taken to a police station in Maale Addumim settlement near Abu Dis where he was interrogated for six hours. He was then released on a bail of 500 shekels ($124) and he was told he would attend a court hearing on Jan. 30, 2013. An Israeli police spokesman referred inquiries to the military, and an army spokeswoman did not immediately return calls. Israeli occupation forces (IOF) announced plans to impose a buffer zone at the borders with Egypt in light of the volatile security situation in the Sinai Peninsula, Hebrew media revealed. Israeli army radio reported that the IOF will establish in the coming days a buffer zone that bans Israelis from approaching the Egyptian borders no less than three hundred meters. The resolution is in its final stages and only needs the chief of the Israeli General Staff's signature to be implemented, the radio added. The radio quoted a senior official in the Israeli army as saying that whoever wants to enter that area has to get a special permit after prior coordination with the concerned authorities in the Israeli army. Different human rights organizations were able to document last August 26 attacks by extremist Jewish settlers against Palestinians and their property in the West Bank and noted that there were other attacks not documented for many reasons, according to Haaretz newspaper. These attacks were reported by B'Tselem, OCHA, Coexistence, and There is Law, organizations active in the occupied Palestinian lands. The newspaper explained that in four different arson attacks, 19 Palestinians sustained injuries and the most dangerous one happened when Jewish settlers threw a Molotov cocktail at a Palestinian car boarded by six passengers from Nahalin village from the same family. All the six Palestinians were admitted to the hospital, two of them were in serious condition and the others suffered moderate burn injuries. The newspaper also mentioned other incidents in which Palestinians sustained injuries during attacks by settlers. 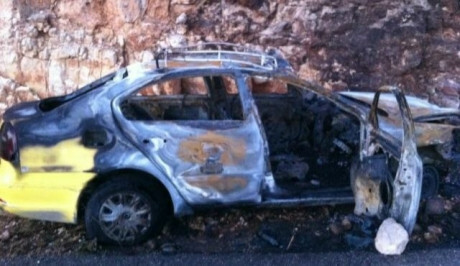 Different arson attacks were reportedly carried out by Jewish extremists on Palestinian homes and cars in different West Bank areas. Ministry of Interior and National Security charged that the air strikes launched by Israeli warplanes on Saturday reflect Israel’s “organized terrorism” against civilians in the Gaza Strip and the occupied West Bank. The Interior Ministry will keep on working on preserving and supporting the internal front in confrontation with occupation and its aggression, asserted the Ministry spokesman. 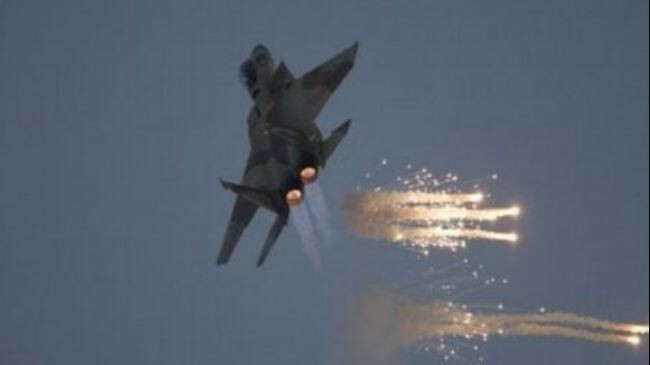 Israeli warplanes launched two air strikes targeting two positions for resistance factions near Maqqousi towers in the northwest of the Gaza Strip injuring two citizens and damaging their houses which are located near to the resistance sites.